Dirty Beaches: Do You Know How Much Trash is Left Behind? A new report from the Ocean Conservancy shows just how much trash beach visitors are leaving behind in California and around the world. The NBC4 I-Team was provided with the new report, which tracked the amount of trash cleaned up on beaches in a 24-hour period. In California, which has more than 800 miles of coastline, the items collected weighed an astonishing 840,000 pounds. Volunteers picked up more than 1 million pieces of trash in California -- more than any other state. One thing immediately stood out. 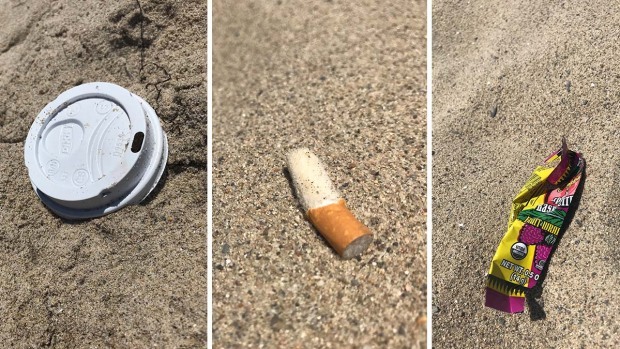 "For the first time ever of the 33-year history, the top-10 most commonly found items on beaches around the world were all made of plastic," said Nick Mallos, of the Ocean Conservancy. The No. 1 offender? Cigarette butts, which have small plastic fibers. Click on the gallery to see what else made the top-10 list.